Its dull gray appearance translates seamlessly to the flavor— it’s under chocolaty, over-carton-y, and highlighted by a sweet, adhesive-like note— akin to licking those envelopes that are mildly sweetened. On the plus side, it’s very smooth, so it won’t clog your sink drain when disposing of it. 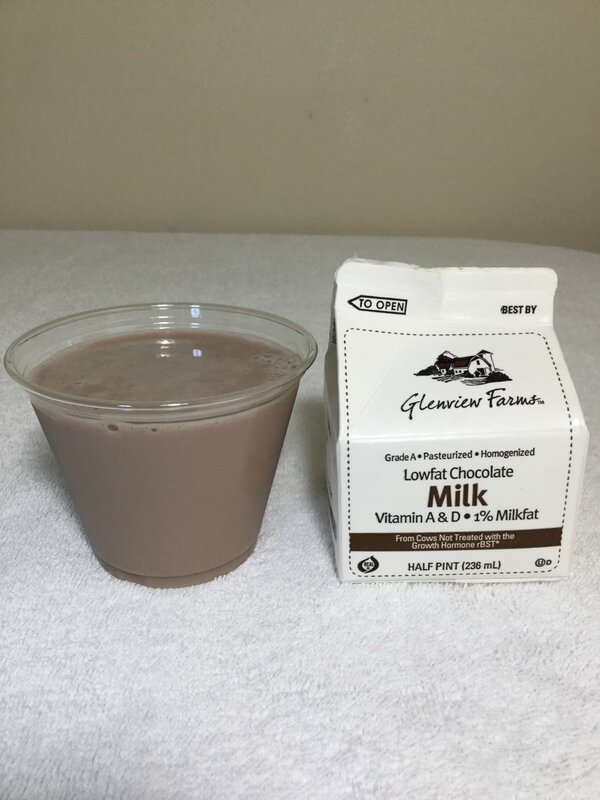 Low fat milk (1% milk fat), high fructose corn syrup, cocoa [processed with alkali], corn starch, salt, carrageenan, artificial flavor, Vitamin A palmitate, Vitamin D3.